Unlike a print journal, each issue of an electronic journal can accumulate content over a period of time. In due course each issue will be archived and a new issue will begin. 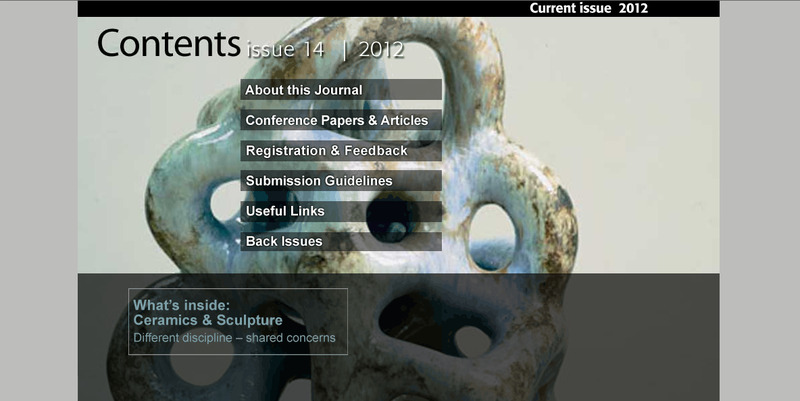 All the archived issues of Interpreting Ceramics will remain available through this section of the web site. Interpreting Ceramics will continue to add to its list of other ceramic-related web sites. Use the links below to access these and the form on the Registration and Feedback page to send in your suggestions for additions. It is planned that this section of the web site will be used to deliver web based resources to our readers. The first of these resources is now in preparation and when complete will provide a database giving information on Michael Cardew. This is a continuing part of the Michael Cardew Centenary Project, details of which can be accessed by using the link below.